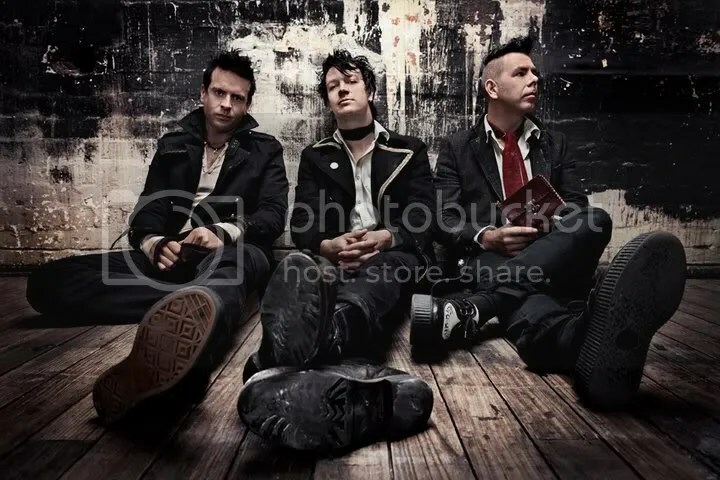 This morning Aussie rockers The Living End premiered their brand new track on triple j at 7am – it’s called “The Ending is Just the Beginning Repeating”. The band teased fans earlier this week by posting a short snippet on their website, a sample of lyrics, and a timer counting down to, well… pretty much now. So what’s it like? Chris Cheney’s vocals sound great as per usual, and the song has a bit of an old Western vibe to it with the bell rings. The guitars sound great with the chugging verse, although I’m a bit concerned the chorus lyrics (the title) don’t have any kind of special hook to them – it just sounds a bit dry. On the other hand, in a live setting I can see the whole track going down brilliantly. It’s got an anthemic kind of feel, and I reckon it’s going to please fans of their more recent work. Interestingly, the timer is still there after the premiere! But it’s longer. It’s counting down to 9am on the 22nd of July – the release date of their new album. Take a listen to “The Ending is Just the Beginning Repeating” for yourself over at the band’s website right now. It’s out on iTunes too. FEATURE: Last night I listened to mainstream radio for 40 minutes. I can accept when someone has different musical tastes to me. It’s normal. Everyone is different, and music is special and valuable as long as it means something to someone – even if that someone isn’t me. But I’ve gotta say, listening to the top 10 or so songs on the countdown last night made me think about things. My friend mentioned to me that at a party he went to recently, the song that “went off” the most was “Teenage Dirtbag” by Wheatus. Understandable. That song was a massive hit when I was growing up, and though I don’t listen to it now, I can recognise that it is deeply entrenched in the minds of people my age. What worries me now about mainstream music is that so many of the songs are so temporary in their nature. Don’t forget that most of the songs played are played to an audience who expect the newest and most popular pop songs, so the fleeting nature of what they play is to be expected. But it doesn’t feel like there is any modern equivalent of “Teenage Dirtbag”. Looking past the fact that it was essentially a one-hit wonder, it got some serious thrashing on mainstream radio playlists, and is still played occasionally now. But there’s nothing out there now that seems to be taking its place. Nothing else seems to be filling the space that one of those special songs takes. One of those songs a whole generation will remember with fondness. 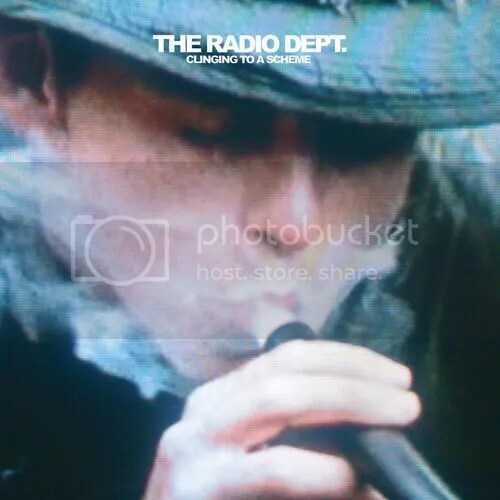 Not only does it feel those kind of songs don’t exist anymore, but it feels like mainstream radio DJ’s assume that their listeners are constantly blazing on some kind of illicit drug. Granted, they’re playing what listeners request, but it amazes me how someone can listen to that kind of music so much. I don’t think I could stand that monotony, I need more variety in what I listen to. This all makes me sad. Largely because I don’t want to end up seeing people from my generation citing “Wonderwall” as their favourite song of all time. But also partly because it makes me sad about what most people listen to. Don’t get me wrong, if you like it that’s cool too. But from my perspective it seems like a shame that’s all. 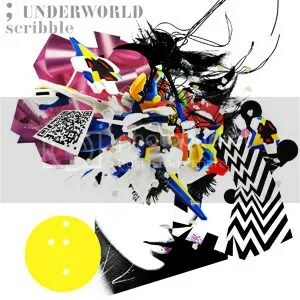 “Scribble” takes you on a pulsing race. It exudes sunshine, and though it feels too fast to make you want to dance (at least not without a smoke machine and lasers), it’s paced perfectly. It’s not intrusive. It’s not boring. It’s goddamn fun. The words "And it’s okay” repeat throughout, but (taking the quote out of context) let me tell you now: this song is more than okay. It’s brilliant. I’m well aware that this review is surprisingly short, but I don’t have time to analyse it in a manner which would more than likely be boring anyway. Grab a free download from here. Just register with them and get the track, okay? It’s worth it. Update: Or grab it here without registering for anything. “People see rock and roll as youth culture and when youth culture becomes monopolised by big business, what are the youth to do? Do you have any idea? I think we should destroy the bogus capitalist process that is destroying youth culture.” – Thurston Moore of Sonic Youth. “Heaven’s On Fire” opens with an audio sample of the above quote, before jumping into a blissful poppy jam that you can’t not want to dance to. The seemingly pessimistic nature of the opening quote juxtaposed with the actual song works surprisingly well. It’s one of those special songs. You know those ones where you can tell from the first listen that it’s something great? It’s one of those. The piano chords blended with the drumming give off a more reflective vibe, before throwing you into a solo to bring the song to a close. I can’t recommend this enough, it’s such a fun song. I didn’t realise it when I began, but this post is really just observation, mixed with a healthy dose of speculation, on the state of mainstream radio, and the clear differences between it and other stations. I also draw a line in the sand between the different types of listeners to music: those tolerant of and interested in new music with wide tastes, and those content to merely absorb what they’re played, and what makes people act this way. It’s basically a didactic post on mainstream radio and how I think it works. Some people say the radio is a dying format. Actually, I haven’t heard anyone say that. But, if I had, I would imagine that next they’d say that the internet is where it’s at now. The world doesn’t need radio stations to introduce people to new music. Myspace, blogs (such as this one), and last.fm recommendations, among other things all open up thousands of new bands to a literally world-wide audience. In recent years more and more bands have been discovered by more and more people. Whether this can be attributed as a cause of the increasing amount of illegal downloading and usage of peer-to-peer clients can be saved for another post altogether. But the fact is, the internet is helping people find new music to suit their tastes in possibly more ways than radio ever will. I would like to think that radio isn’t dying. I would very much like to think that, against all odds, it will continue to prosper as an effective medium of communication and entertainment. But are radio stations, in particular, commercial mainstream stations, playing what people want to hear? I’m not talking about the style or type of music, or even who it’s by. That’s down to personal preference. I’m talking about the diversity of music heard on these stations. Are listeners really happy listening to the same few popular songs, over and over? If you take a look at non-commercial stations that are externally funded, they have the freedom to play the music they want, in a sense. Of course they’re going to play music for, what could be considered, a niche audience. But they have the choice to cater to that audience and play a variety of music. They aren’t focused on trying to appeal to the majority of the population. Even the odd commercial station probably operates in this sense, I’m not sure. But I’m pointing at the stations that don’t over-play songs to death. The ones that don’t just play the singles. The main radio station I listen to operates in this way, and of course every station has popular songs it will play more than others. This one does too, to a completely reasonable extent. But the difference is, that in this rapidly moving age of the internet, it has, and will most likely continue to, operate with the intention of providing listeners with a wide variety of new material (and as far as I know the station was doing this prior to the “online music boom”). I have no problem with this. I think it’s an advantage, because not only does it play music I myself enjoy, but it has enough diversity in it’s broadcasted content to bring new music to my attention. I‘m not happy listening to the same songs over and over. I want to hear new bands, to expand my musical tastes. The question is, will more mainstream-based commercial stations eventually follow suit? Which is indirectly a way of asking, do the listeners of these stations want to hear a wider variety of music? Because in the end these stations have to play what their listeners like, otherwise they won’t survive. Though the stations do exercise a certain amount of influence, which I will mention shortly. It seems to me that despite the advances of the internet in opening up new bands and music to people, many mainstream listeners are either oblivious to the opportunities available, or are merely apathetic towards the issue. I work on the weekends in a local retail store, and over the course of my 3 to 5 hour shift, the mainstream commercial station being softly played throughout the store can play any one song up to 3 times (that’s the record, and that was a very long shift indeed). The point I’m making, is that with the majority of people contently listening to these mainstream commercial stations, do most people not care about hearing new music? Are they truly happy listening to the same songs again and again, day after day? Or are they, as I mentioned before, simply unaware that other music is out there? But, this also beckons forth the idea that maybe it’s an unconcscious choice to confine their tastes. Maybe those mainstream stations that over-play singles have, over time, conditioned their listeners not only to automatically accept what they play as good and even cool (heck, none of the mainstream radio listeners would have thought any tracks from Kings of Leon’s first 3 albums were any good, even now that they’ve got commercial air-play on their 4th), but also to accept the style of broadcast. Maybe these people have become too accustomed to hearing their favourite songs over and over, and so now expect the same kind of treatment. They’re so used to listening to the same songs over and over that it doesn’t bother them. I think this issue draws a line dividing the types of people that listen to music. Although there are bound to be people that fit both categories in a loose sense, it clearly shows that there are those who are content to listen to the same music over and over, and those who wish to expand their tastes. Not that I have anything wrong with either side, it’s down to the listener. But it does show that the majority of mainstream radio listeners don’t want to expand their musical tastes much, whether that’s through conscious choice, a conditioning over time from the stations themselves, or being ignorant to any other option. In the end, I don’t think radio will die out. From what I’ve concluded, I believe that mainstream listeners don’t crave the musical diversity others do, for whatever reason that may be. I think that mainstream stations not only hold influence over their listeners musical tastes, but also that they provide what people are used to hearing, and expect to hear. Considering the audience clearly has no need for a wide variety of music, they’re unlikely to be affected by the avenues opened up by the internet, and mainstream stations will continue to prosper. In reality, other stations should also survive with their niche audience. Though that audience will most likely use the internet to seek out new material, the stations will still please with their interesting new music as well. After all, it’s a large world, and there’s a lot of talent out there.